RFC — Remote Function Call. You can trun your own function module in to Remote function call. 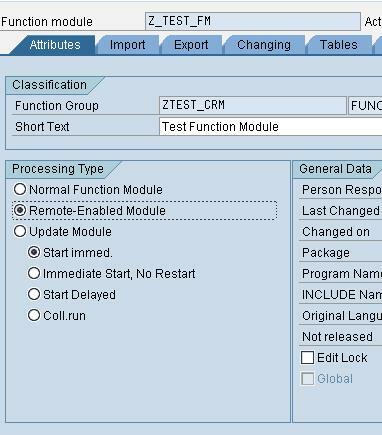 If another sap system wants to use the same function module then if this function module is Remote enabled then we can use this function in another sap system. 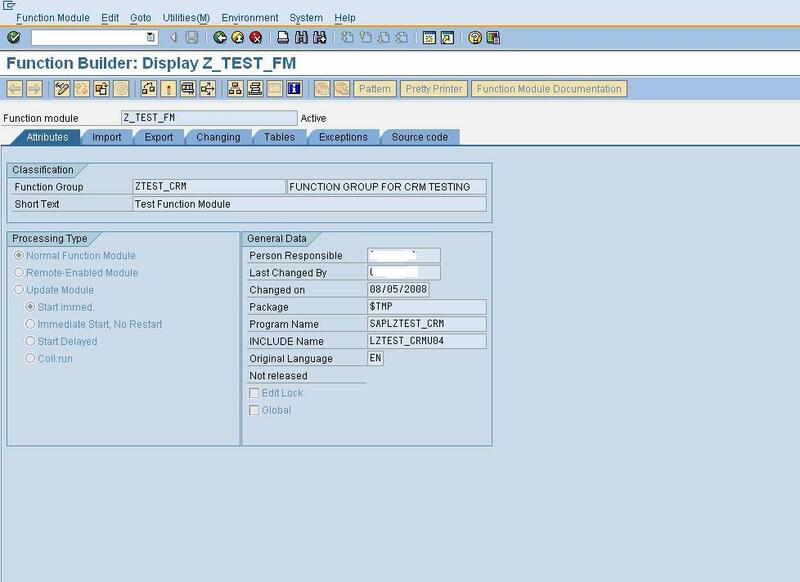 RFC can be done from a SAP or a NON sap system(using a middleware or system that has SAP adapter). You can use Tibco or XI or Business connecter to connect to another system. Click Here to read how to create a function module. I am not going to write that again. 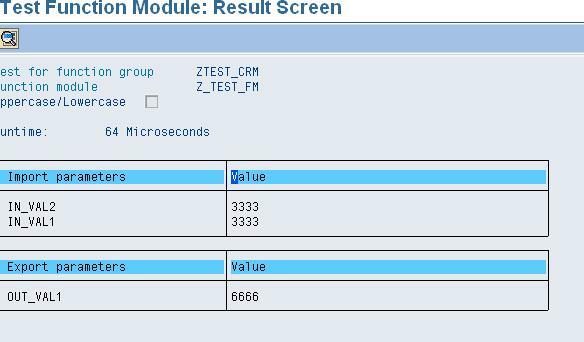 Now let us see how to trun the existing Function Module in to Remote Enabled. Look at the following screen shot for the default function module attributes.